While the general statement “there’s an app for that” tends to be around iphone it applies even more so to Android. One simple way this applies is to customization. Take today for example … I woke up early and since im staying in a hotel with my family, I opted to quietly use my phone until it’s time to really get going. Unfortunately, the Galaxy Note II is ridiculously bright even at the lowest setting. After a quick moment of clarity, I realized there was probably a way to address that and found Super Dimmer Pro. Boom problem solved. I know that’s a really simple example but I find the power simple and excellent to have. With a family of 5 and a lot of screens our bill is likely at least as high if not much more. AppleTV is our go to for movies on demand and the number of apps (in both app stores) we’ve utilized year over year is too high to try and tabulate. I’m not opposed to paying for quality and utility and have certainly entered my password countless times. Those small tolls really add up. I was tallying my spending of the last year, and much to my surprise, I spent $2,403 in one category. No, that wasn’t on clothes. It wasn’t on my most recent vacation, either. And it wasn’t the total of all my parking tickets (though that did feel as if it came close). The $2,403 is what I spent on digital media. But wait, people are spending money online? On media? Didn’t music industry executives declare, “People won’t pay for things online!”? Yes, as did movie industry executives. TV, radio, book, newspaper and magazine bigwigs, too, have all made similar claims over the last decade. Well, those apocalyptic predictions turn out to be wrong. I am spending more on digital media than I used to spend on the physical stuff. (The federal government says the average American family spent $2,572 on all entertainment, not just digital, in 2011.) And I know why I am spending more on digital media. Digital media, unlike its slow cousin, is immediate. In the past, if friends mentioned a good book they had just finished, people made a note (mental or on a scrap of paper) to pick it up during their next visit to the bookstore or library. The same went for other items like CDs, DVDs or magazines. If I pay is it mine? Mike Masnick at Techdirt nicely covered this recently as well. Fred Wilson brings up a great point this morning about connectivity between mobile apps, or perhaps the challenge therein. As you’ve no doubt noticed its far easier to move between systems on your desktop vs mobile. His example of clicking on a link from within Facebook mobile to buy something on Etsy rings true. Instead of being pushed into an app where you are likely to be logged in, you are typically dropped off on a mobile web page where you essentially start fresh adding a bit of friction into the equation. Android does offer intents which allows you to send an action to a particular app but it’s also a bit unwieldy. There’s no way to edit the list and instead your are more often than not presented with a list of all the apps on your device who have registered themselves as shareable. 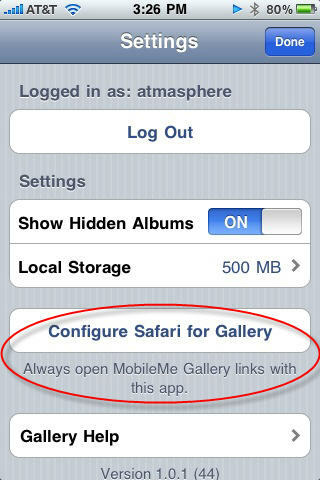 On iPhone every app developer has to choose how to share out which leads to tons of inconsistency. For basic social sharing it’s not terrible but if you want to a really use the content in a more meaningful way … Good luck. I’ve seen some apps enable app links so a click opens the app but this is rare and can fail as a standard option as you have to assume there’s an app installed. I would love to see some choices when setting up bookmarklets (app vs web) and having a way to limit the android intent list to those that matter would start us off in the right direction. 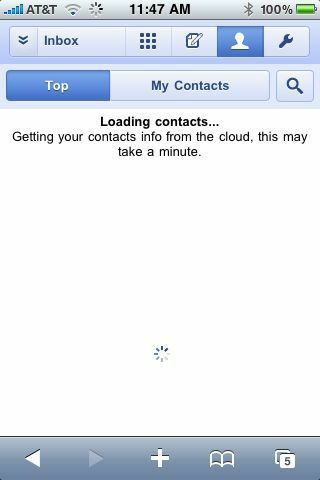 As well designed as the new Google Voice app is, I really don’t want to have to wait to view my contacts while things load.